Search is also loaded with info on candidates and ballot measures. 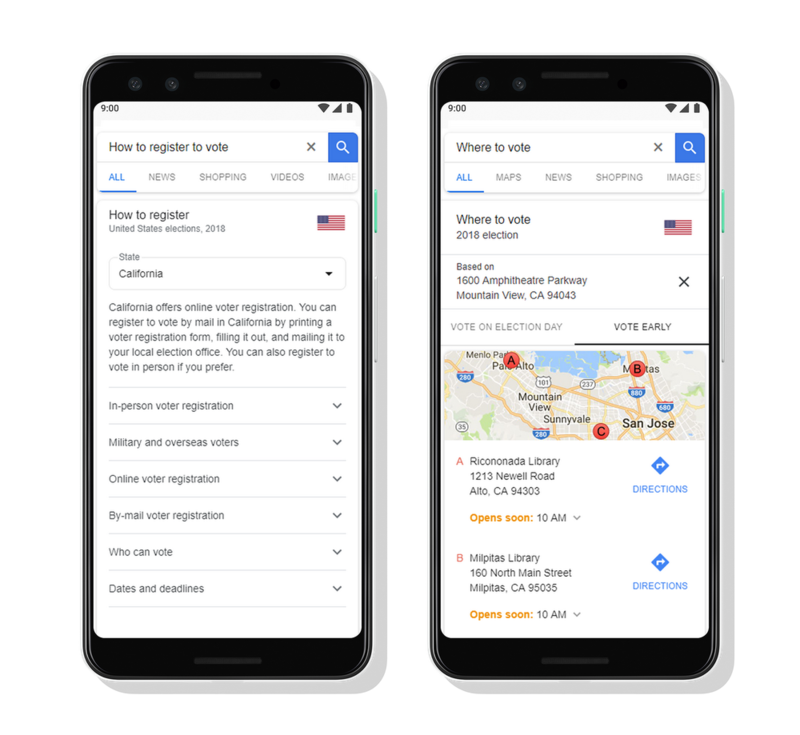 You can add Google to the list of tech companies nudging you to get out to the polls today. The big G's search engine is the go-to source for our most pressing, and prosaic, questions. And once again, it can act as your Election Day info hub, built around your search queries. Entering "how do I register to vote" or "how do I vote" will produce bitesize, state-specific instructions about the deadlines, requirements, eligibility, and logistics of casting a ballot where you live. And if your follow-up is "where do i vote?," Search will harness Google Maps to point you in the right direction. On top of that, Google is also adding digestible information on candidates -- including statements by those running for office on their legislative priorities -- and ballot measures. When the dust settles on the Midterms, Google is hoping you'll head back to Search to watch the results roll in. A search for "Senate results" or "House results" today will provide a real-time summary of each chamber, while searching for any congressional or gubernatorial contest will offer results for those specific races.